There are some more common pests. 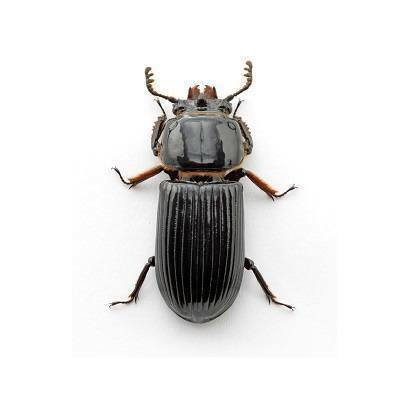 General Info: The ground beetle is the most common beetle in North America. It is found in many types of environments. Residential Location: They can be found anywhere in or around the home, especially near moisture, heat sources, and plant matter. Random/Interesting Fact: There are more species of beetles than any other insect. Identification: The beetle is flattened with prominent mandibles (jaws). Many are black or brown, but colors also include blues, greens, and reds. 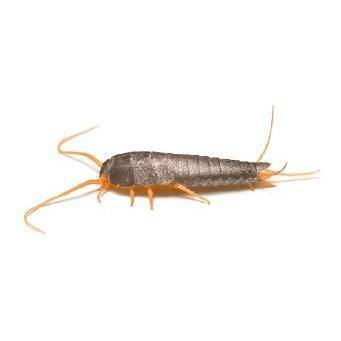 General Info: Silverfish have no wings, but are able to run very fast. They tend to hide their presence from humans which means any damage they cause could go unnoticed as well. Residential Location: They are found in any room around the home. 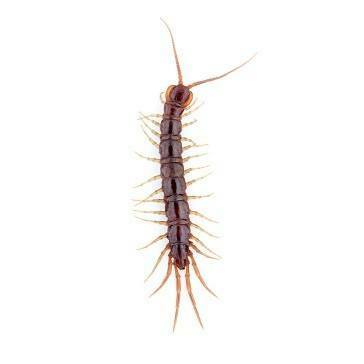 Silverfish reproduce in high-temperature, high-moisture areas, so they are commonly found in attics, in upstairs bathrooms, and along the crown molding in bedrooms. Random/Interesting Fact: They can survive weeks without food or water and are often cannibalistic. Identification: They have silver coloring with dark lines along the length of the body. 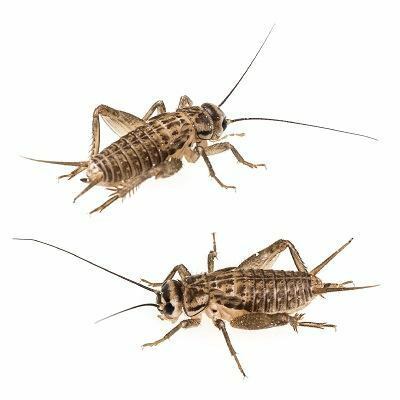 General Info: Crickets are nocturnal omnivores. They can feast on fabric, eating large areas and therefore leaving big holes in the fabric. They are especially attracted to clothes soiled with perspiration. Residential Location: Usually found outdoors but when cold weather apporaches, they seek shelter in houses and sheds. Random/Interesting Fact: The loud chirping is caused by rubbing their front wings together to attract females. Identification: They can be dark brown/black or a yellowish brown with three dark bands on the head. General Info: They can have anywhere from 15 to 177 pairs of legs. Most are nocturnal. They prey primarily on flies, spiders, and sometimes plant tissue. The venom in their bites is rarely dangerous to humans. Residential Location: They are most commonly found in damp basements, mulch/flower-beds, crawlspaces, bathrooms or potted plants. Random/Interesting Fact: Centipedes always have an odd number of legs. Identification: They are yellowish to dark brown, sometimes with stripes. Centipedes are known for moving fast. 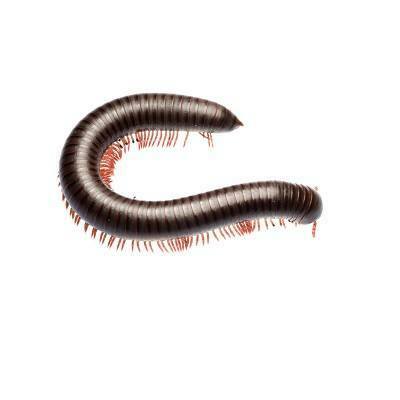 General Info: Millipedes are comparatively slower than centipedes. They have two pairs of legs per body segment, and feed on decaying plant matter. Random/Interesting Fact: They don’t really have 1000 legs. The max is around 750. Identification: They are either black or brown, with red/orange legs. They are worm-llike in structure. General Info: Earwigs have long cerci “clippers” on their backsides. They like to hide during the day and feed on leaves, flowers, fruits, mold, and insects at night. Residential Location: They perfer dark damp areas, such as under pavers, in bathrooms, and under kitchen sinks. They live together outdoors in large numbers. Earwigs can be found under piles of lawn debris, mulch or in tree holes. They gain entry to a structure through exterior cracks. 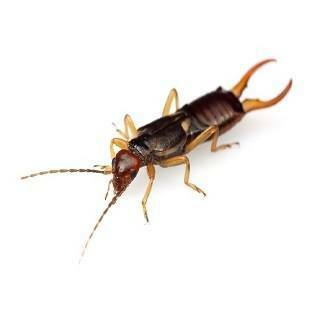 Random/Interesting Fact: Contrary to folklore, earwigs do not crawl into ears. Identification: They are dark brown, with 6 long, narrow legs.